Home FOCUS ON Photodynamic therapy and candida albicans: the new option? Photodynamic therapy and candida albicans: the new option? Candida is a major human fungal pathogen causing infectious conditions predominantly in the elderly and immunocompromised hosts. Although Candida resides as a member of the oral indigenous microbiota in symbiosis, some circumstances may cause microbial imbalance leading to dysbiosis and resultant in oral candidiasis .The diagnosis of oral candidiasis is essentially clinical and based on the recognition of the lesions by the oral pathologist . Clinically there are a number of different types of oral candidiasis, that could involve oral mucosa and lips. 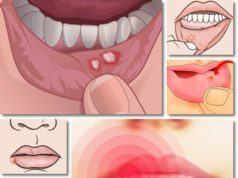 One of them is angular cheilitis also known as angular stomatitis, that is a relatively common lesion characterized by erythema, maceration, ulceration and crusting at the commissures of the mouth. Factors that create a chronic, conducive, moist environment for microbial growth at the oral commissures such as habitual lip licking, thumb sucking or biting the corners of the mouth and sagging of tissues at the angles of the mouth contribute to the development of this type of condition. Iron and vitamin deficiencies, consumption of carbohydrate-rich diets, long-term drug therapy such as immunosuppressants and antibiotics, gastrointestinal disorders, immunodeficiency status such as human immunodeficiency virus (HIV) infection are factors that predispose to the lesion. Therefore the choice of therapy is guided by the type of candidiasis. As first choice for topic treatment has been for years the Nystatin and Amphotericin b, Fluconazole oral solution for the treatment of oropharyngeal candidiasis . Among systemic drugs proposed for the treatment of oral candidosis are Fluconazole, Itraconazole, Voriconazole . The emergence of drug-resistant strains and frequent recurrence of the disease in aﬀected individuals are increasing challenges in antifungal therapy. Actually it has been purposed the use of probiotics, prebiotics, and synbiotics as an alternative antifungal therapies . According to the FAO/WHO, probiotics are deﬁned as “live microorganisms that when administered in adequate amounts confer a health beneﬁt on the host”. 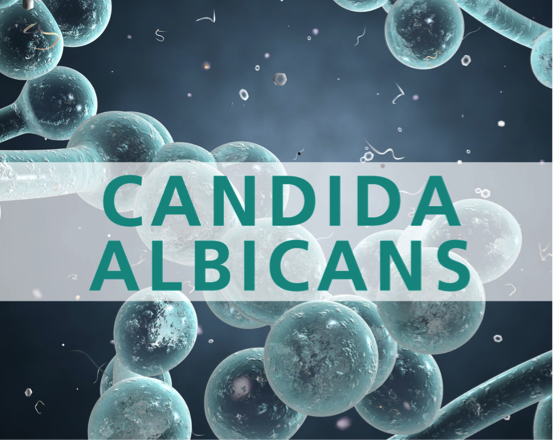 There is an observed trend that the probiotics could decrease the quantity of Candida . The term “prebiotics” was deﬁned by Gibson and Roberfroid (1995) as a non-digestible food ingredient that beneﬁcially aﬀects the host by selectively stimulating the growth and/or activity of one or a limited number of bacteria in the colon, and thus improves host health. Studies of oral prebiotics are limited. Sugars and dietary ﬁber have been considered to be prebiotics for intestinal lactic acid bacteri. Recently it has been proposed the use of probiotics and prebiotics fusion products or “synbiotics” for the intestinal tract microbiota. However,the use of synbiotics for the oral microbiota has not been well studied yet . Another recent study evaluated the effectiveness of ozoneted water in the treatment of oral candidosis, when compared with topical clotrimazole . Based on the results of this study there is gradual but significant reduction in Candida CFU count in both groups. 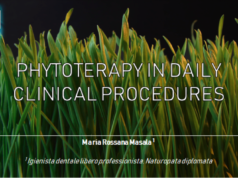 Photodinamic therapy for the treatment of oral Candidosis is documented in literature [6,7,8]. There is a new type of Photodinamic Therapy , performed with Fotosan 630 (cms dental, Denmark,Dentalica) , a light-activeted disinfection. It is a device that emits a LED light used in combination with a photosensitive reagent (Toluidine blue in syringes with a concentration of 0.1mg / ml). The basic principle of this therapy is represented by the photochemical reaction between a photosensitive substance (in this case Toluidine Blue ) and a light source that emits a specific light spectrum. Specifically, the photosensitizer binds to the surface of microorganisms and absorbs light of a specific wavelength taking energy. This energy reacts with oxygen to form ROS (Reactive Oxygen Specimen) that is highly reactive and kills the microbial cell walls and internal structures. The principle LAD is effective not only against bacteria but also against microorganisms such as viruses, fungi and protozoa. The light-sensitive substances applied have very mild affinity with mammalian cells. For this there are no adverse effects during the treatments. The intensity of the light that emitted diodes is between 2000 and 4000MW / cm2. This device works with three different modalities: green, orange and red which respectively correspond to different time cycles of application. In the literature there are papers about the use of FotoSan 630 in the treatment of perimplantitis and endodontic infections, but no data are available regard its effectiveness on viruses and fungi implicated in the colonization of oral cavity. In this case report we have described the use of the FotoSan 630 in the treatment of oral candidiasis in a smoker patients refractory to traditional antifungal therapies and with lowering vertical dimension. A 62-year-old man, came under our observation for a strong discomfort and redness at the level of the commissures of the lips and tongue. Anamnesis reported a good general state of health and the consumption of about 40 cigarettes a day from a lot years. In the intraoral examination we could observe : absence of some dental elements and a closure at second skeletal class with a reduction of the normal vertical height; the presence of a white film easily removable above the tongue, and erythematous area around the labial commissures (fig.1,2,3). 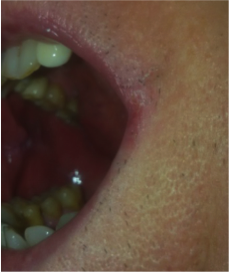 A diagnosis of lingual oral candidiasis and angular cheilitis was performed. The patient told us that he has already carried out several times rinse with Mycostatin and antifungal ointments applied on the lips without a permanent solution. It was therefore decided to carry out a photodynamic therapy FotoSan 630 (CMS Dental, Denmark). During the first session it is applied to the basic dye Toluidine above the lesions on the labial commissures. It is inserted blunt tip on the device , and the orange mode is chosen, with 10 consecutive applications 20 seconds on each side. Subsequently the dye is removed with gauze, from both sides. The patient experiences improvement in pain symptoms and the next session was performed with the same protocol on the lingual surface. The dye was disposed along the front two-thirds of the tongue dorsum and then was activated FotoSan 630 with orange mode for 10 cycles of 20 seconds on the entire lingual surface. After a few days there was a clinical improvement of the labial and a total remission of lingual lesions (see photo 4,5,6). Un uomo di 62 anni, è giunto alla nostra osservazione per un forte fastidio e rossore a livello delle commessure labiali e della lingua. All’anamnesi ha riportato un buono stato di salute generale e un consumo di circa 40 sigarette al giorno da diverso tempo. All’esame intraorale si è notata l’assenza di alcuni elementi dentali e una chiusura in seconda classe scheletrica con una riduzione della normale altezza verticale; la presenza di una patina bianca sopra la lingua facilmente asportabile, ed un’area eritematosa attorno alle commessure labiali (vedi foto 1,2,3). Il quadro clinico ci ha fatto formulare una diagnosi di candidosi orale linguale ed una cheilite angolare. Il paziente ci ha riferito di aver già effettuato numerose volte sciacqui con Mycostatin e con unguenti antimicotici applicati sulle labbra senza una risoluzione definitiva del problema. Si è deciso pertanto di effettuare una terapia fotodinamica con Fotosan 630 (CMS Dental, Denmark). Durante la prima seduta è stato applicato il colorante a base di Toluidina al di sopra delle lesioni sulle commessure labiali. È stato inserito il puntale a punta smussa sul dispositivo Fotosan 630, ed è stata scelta la modalità arancione, con 10 applicazioni consecutive di 20 secondi su ciascun lato. Successivamente il colorante è stato rimosso con una garza, da entrambi i lati. Il paziente presentava un miglioramento della sintomatologia algica e alla successiva seduta è stato effettuato lo stesso trattamento sulla superficie linguale. È stato disposto il colorante lungo i due terzi anteriori del dorso linguale e poi è stato attivato Fotosan 630 con modalità arancione per 10 cicli da 20 secondi su tutta la superficie linguale. Dopo alcuni giorni si è avuto un miglioramento clinico delle lesioni labiali e una completa remissione di quelle linguali (vedi foto 4,5,6). Different protocols in literature have been proposed for treatment of oral candidosis. The effectiveness of nystatin solution is undiscussed but its use is connected with a series of collateral effects. The unpleasant taste and prolonged pattern compromise treatment compliance by the patient, furthermore the poor adherence of the nystatin to the oral mucosa and thus the quick ingestion of the suspension, reduce efficiency of this therapy [3,9]. Some studies have reported the citoxicity of nystatin in the host cell . On the other hand Flucanozole and Miconazole result to be also very effective nevertherless they are controindicated in all cases treated with some kind of medicines, such as warfarin. This is because of their mechanism of inhibition of the enzyme cytochrome P-450, which affects the clearance of certain drugs [3,11,12]. Another treatment documented in literature is Gentian violet. It is a topical fungicidal medication that also has anti-staphylococcal properties. Patients should be warned of potential side effects, including skin irritation, oral ulcers, and purple staining of the skin and clothing .The use of probiotics, prebiotics and synbiotics are proposed for the treatment of two major dental diseases, dental caries and periodontitis. Regarding the use of probiotics for oral candidosis the literature data are sparse  . The most important probiotics are lactobacilli. Lactobacilli universally produce lactic acid that inhibits the metabolic activity of Candida sp., which has a weak antifungal activity. It appears that lactobacilli do not produce eﬀective concentrations of H2O2 against fungi, unlike other bacteria. Another point is that the presence of sugars in prebiotics increases the risk of dental caries . It is also proposed the use of sugar alchools like xylitol and arabinose that is not assimilated by S. mutans, the most important responsible of caries. Furthermore there are conﬂicting reports on the ability of C. albicans to assimilate xylitol and aldopentose and another problem is that probiotic bacteria are not able to easily colonize adult oral cavity . The effectiveness of essential oil and ozonated water was documented in literature [14, 15, 5]. When compared with topical clotrimazole, ozone therapy seems to be more effective in reducing the Candidal species count. Some studies have reported that essential oils may be proposed for treatment of oral Candidosis because of their antimicotic properties, in particular for the presence of thyme and clove. The results of a previous study have been shown that essential oil gel of plant Z is able to reduce the palatal erytema. Its effectiveness is similar to myconazole . Moreover it is important to consider that the use of essential oils is associated to an important adverse effect: their strong aromatic and corrosive action on oral mucosae rendered them irritant and unsafe to be used in their crude form. There is also a study on the efficacy of Malaleuca against Candida colonies , but is tested on animals . Recently antimicrobial photodynamic therapy (PDT) has been purposed as an alternative to antibiotics for the treatment of microbial infections. This method is based on the activation of a photosensitizing agent by a specific wavelength light that corresponds to maximum absorbance by the substance. It results in the production of free radicals, singlet oxygen, and other reactive oxygen species, which have a toxic effect on bacterial cells, leading to cell death without causing harm to the host. This minimally invasive method seems to be effective against resistant bacteria and to have a rapid effect on the target organisms and does not lead to the development of resistance mechanisms. Antimicrobial PDT is selective and painless and does not affect the patient’s sense of taste . PDT has been indicated in the treatment of various oral pathologies, overall in the reduction of vascular lesions, in parodontology disinfection, in dental caries site disinfection [16,7] . In the case report reported in the present study it has been described the use of a type of photodynamic therapy in the treatment of an oral candidosis refracted to other traditional topical treatments. Based on a recent review of 15 articles on PDT  the authors reported that antimicrobial PDT may be considered an effective antifungal treatment strategy, but although all the studies have reported the antifungal effects of PDT, even against azole-resistance fungi, no accordance was evident among all the data related to the laser parameters and the type and concentration of photosensitizer used . The laser wavelengths and power output ranged from ∼455nm-660 nm to 30 mW-400 mW. The energy fluence ranged from 26 to 245 J cm(-2) and the duration or irradiation ranged between 10 seconds and 26 minutes. Methylene blue, toluidine blue and porphyrin derivative were the most commonly used photosensitizers. One study reported PDT and azole therapy can be considered equally effective in the treatment of oral fungal infections. Another study underlines that the number of viable C. albicans cells has been reduced significantly after PDT using Blue di Toluidine associated to diode laser irradiation. The data proved that the efficacy of PDT against C. albicans cells, regardless of the photosensitizer used . Allergic reactions to photosensitizers may rarely occur following PDT in dermal tissues ; no literature data are available about cases of allergic reactions in the oral cavity . Also in this review is speculated that the efficacy of antimicrobial PDT is compromised in patients with poorly-controlled diabetes and among habitual tobacco users, but in this case report the healing of oral candidosis in a smoker patient was good. Regarding the effects of low level laser irradiation (LLLI) without photosensitizers, against C. Albicans in a recent study  has been reported that the wavelength of 630 nm seems to be most commonly associated with the inhibition of bacterial growth. This wavelength is the same used in this case report. The light delivered by lasers had a stimulatory effect on human lymphocytes in particular on initially low- activated lymphocytes . The effects of LLLI have been tested both in vitro and in an animal study, and it has been shown that there is no significant differences in the effectiveness of LLLI against C. Albicans using energy of irradiation of 10 j both at 685 or 830 nm of wavelength. The effect of blue Metylene in combination with the use of diode laser on buccal candidiasis in immunosuppressed mice was directly proportional to the photosensitizer concentration. The incidence of oral candidosis has increased over the last several decades due to the widespread use of antibiotics and immunosuppressive drugs. The prolonged management of oral candidosis might cause the development of drug-resistant phenomenon and there have been reports of the emergence of resistance to antifungal agents ( fluconazole, amphotericin B, clotrimazole, nystatin and itraconazole ) in immunodepressed or smoker patient..
Based on the data of literature, Fotosan 630 (CMS Dental, Dentalica) has been tested in endodontic and periodontal therapy [19,20,21 ]. There are conflicting results about the effectiveness of FotoSan 630 in the treatment of perimplantitis and endodontic infections, but no reports are available about its effectiveness on viruses and fungi that colonize the oral cavity. A study has reported that Fotosan seems to have very low citotoxicity on human fibroblasts . The results of this study have shown that citotoxic effects of FotoSan were statistically lower (p<0.05) if compared with those obtained by the use of chlorhexidine. In a strong patient smoker, with a lost of vertical height and with a history of recurrent candidiasis the use of a photodynamic therapy performed with FotoSan 630, it can be considered effective and safe , easy to make and with a cost reduced when compared to other pharmacological device. Revisione letteratura Dr.ssa Cinzia Casu. 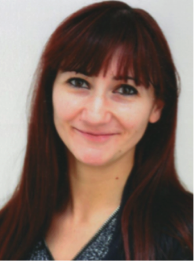 Tomoko O., Yukako K, Chaminda J. S.,Nobuko M . Therapeutic Application of Synbiotics, a Fusion of Probiotics and Prebiotics, and Biogenics as a New Concept for Oral Candida Infections: A Mini Review. Front Microbiol.2016 Jan 25;7:10. Coronado-Castellote L, Jiménez-Soriano Y. Clinical and microbiological diagnosis of oral candidiasis. J Clin Exp Dent. 2013;5:e279-86. Garcia-Cuesta C., Sarrion-Pérez MG, Bagán JV. Current treatment of oral candidiasis: A literature review. J Clin Exp Dent. 2014 Dec 1;6(5):e576-82. Khatri I, Moger G, Kumar NA. Evaluation of effect of topical ozone therapy on salivary Candidal carriage in oral candidiasis. Indian J Dent Res. 2015 Mar-Apr;26(2):158-62. Scwingel AR, Barcessat AR, Núñez SC, Ribeiro MS. Antimicrobial photodynamic therapy in the treatment of oral candidiasis in HIV-infected patients. Photomed Laser Surg. 2012 Aug;30(8):429-32. Epub 2012 Jun 25. Javed F, Samaranayake LP, Romanos GE. Treatment of oral fungal infections using antimicrobial photodynamic therapy: a systematic review of currently available evidence. Photochem Photobiol Sci. 2014 May;13(5):726-34. Manfredi M(1), Polonelli L, Aguirre-Urizar JM, Carrozzo M, McCullough MJ. Urban legends series: oral candidosis. Oral Dis. 2013 Apr;19(3):245-61. Boros-Majewska J, Turczyk Ł, Wei X, Milewski S, Williams DW. A novel in vitro assay for assessing efficacy and toxicity of antifungals using human leukaemic cells infected with Candida albicans. J Appl Microbiol. 2015 Jul;119(1):177-87. Pemberton MN, Oliver RJ, Theaker ED. Miconazole oral gel and drug interactions. Br Dent J. 2004;196:529-31. 21. Jillian W. Millsop, Nasim Fazel.Oral candidiasis. Clinics in Dermatology, Volume 34, Issue 4, Pages 487-494. Labib GS, Aldawsari H. Innovation of natural essential oil-loaded Orabase for local treatment of oral candidiasis. Drug Des Devel Ther. 2015 Jun 29;9:3349-59. De Campos Rasteiro VM, da Costa AC, Araújo CF, de Barros PP, Rossoni RD,Anbinder AL, Jorge AO, Junqueira JC. Essential oil of Melaleuca alternifolia for the treatment of oral candidiasis induced in an immunosuppressed mouse model. BMC Complement Altern Med. 2014 Dec 15;14:489. G. C. Santin, D. S. B. Oliveira, R. Galo, M. C. Borsatto, S. A. M. Corona. Antimicrobial Photodynamic Therapy and Dental Plaque: A Systematic Review of the Literature. ScientificWorldJournal. 2014; 2014: 824538. Seyedmousavi S, Hashemi SJ, Rezaie S, Fateh M, Djavid GE, Zibafar E, Morsali F, Zand N, Alinaghizadeh M, Ataie-Fashtami L. Effects of low-level laser irradiation on the pathogenicity of Candida albicans: in vitro and in vivo study. Photomed Laser Surg. 2014 Jun;32(6):322-9. Mohammad Shafi Dar, Gadiputi Sreedar, Jiji George. An in vitro study of antifungal drug susceptibility of Candida species isolated from human immunodeficiency virus seropositive and human immunodeficiency virus seronegative individuals in Lucknow population Uttar Pradesh. Journal of oral and maxilla facial pathologist 2015 May-Aug; 19(2): 205–211. Gambarini G, Plotino G, Grande NM, Nocca G, Lupi A, Giardina B, De Luca M,Testarelli L. In vitro evaluation of the cytotoxicity of FotoSan™ light-activated disinfection on human fibroblasts. Med Sci Monit. 2011 Feb 25;17(3):MT21-5. 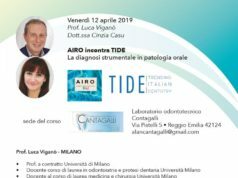 Mongardini C, Di Tanna GL, Pilloni A. Light-activated disinfection using a light-emitting diode lamp in the red spectrum: clinical and microbiological short-term findings on periodontitis patients in maintenance. A randomized controlled split-mouth clinical trial. Lasers Med Sci. 2014 Jan;29(1):1-8. De Angelis N, Felice P, Grusovin MG, Camurati A, Esposito M. The effectiveness of adjunctive light-activated disinfection (LAD) in the treatment of peri-implantitis: 4-month results from a multicentre pragmatic randomised controlled trial. Eur J Oral Implantol. 2012 Winter;5(4):321-31. Articolo precedenteCase report: Possibile associazione tra Staphylococcus Aureus e Burning Mouth Syndrom. “Zeolite” il minerale che assorbe i metalli pesanti: applicazioni in odontoiatria e medicina. 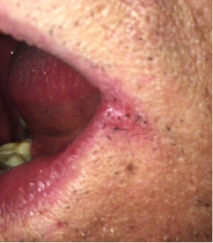 Case report: Possibile associazione tra Staphylococcus Aureus e Burning Mouth Syndrom.